It is with great pride and near-giddy joy that I hereby reveal this stunning US cover from ACE and artist Bastien Lecouffe-Deharme for Mark Lawrence‘s upcoming book: Grey Sister! 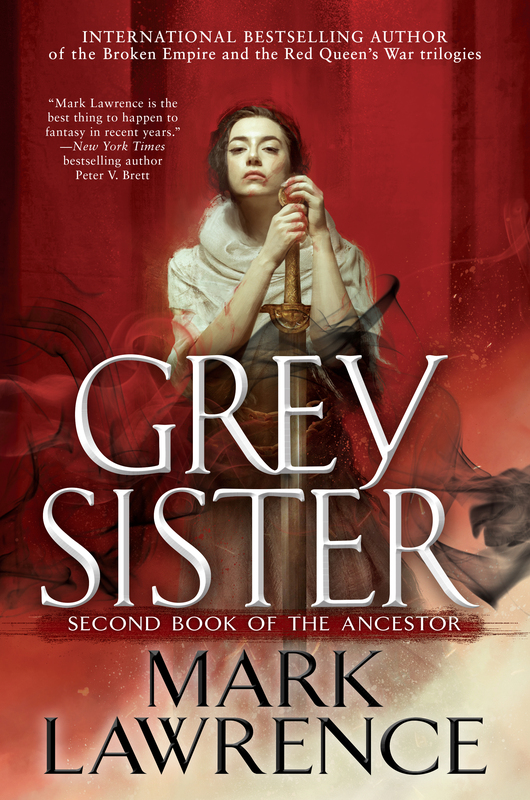 Grey Sister, The Second Book of the Ancestor, will be published in the US on April 3, 2018, you may already pre-order it on Amazon! In the UK Grey Sister will be published by HarperVoyager on 19 Apr 2018 and can be also already pre-ordered on Amazon! Loved, loved, LOVED Red Sister. Now I patiently (not really) await Grey Sister. If you haven’t read it yet, you should make time for this. Oh, now I like that cover! If you haven’t read the Lawrence, you must remedy that immediately. When will the audiobook version be released? I don’t know the exact date but it should be around the same time.